The Philosophy Department at the University of British Columbia is home to a lively research group in aesthetics and the philosophy of art. In addition to three philosophy faculty, the group numbers several philosophy graduate students who are either writing dissertations or papers in aesthetics. Faculty and students in Interdisciplinary Studies, the Department of English Literature, the School of Music, the School of Architecture and Landscape Architecture also participate in the group's activities. Events include reading groups, visiting speakers, mini-conferences, and seminars. David Friedell works on fiction and the ontology of art. He is a Postdoctoral Fellow in Philosophy at UBC. Dominic Lopes teaches philosophy at UBC and works on depiction, the evaluation of pictures, theories of art and the ontology of art, computer art and new art forms, and aesthetic value. Christopher Mole teaches in Philosophy and in the Cognitive Systems program at UBC. His interests in aesthetics focus on the aesthetics of literature. He is particularly interested in the relationship between aesthetic value, moral value, and the value of truth. John Woods is an Honorary Professor of Logic at UBC and counts fiction among his many specializations. Michel-Antoine Xhignesse is a SSHRC postdoctoral fellow at UBC. He works primarily on the ontology and meta-ontology of art, as well as on the problem of truth in fiction and the influence of authorial intent. Aleksey Balotskiy is writing a doctoral thesis on flavour and the nature of aesthetic properties. Ian Heckman is entering his second year at UBC and plans to work on spatial perception in dance. Madeleine Ransom is writing a doctoral thesis on perceptual expertise and learning, including aesthetic perception. properties. Richard Sandlin is writing a doctoral thesis on flavour perception with a chapter on the aesthetics of flavour. Sophia Sideris is an MA student with an interest in environmental aesthetics. Servaas Van der Berg is writing a doctoral thesis on aesthetic experience. Jo Wong is an MA student with an interest in aesthetics. Kousaku Yui is writing a doctoral this on philosophical implications of primate social structure for human sociality and problems in epistemology, philosophy of mind, and aesthetics. Yuichi Amitani wrote a doctoral dissertation in philosophy of biology but also wrote on the ontology of photographs. Vincent Bergeron now teaches at the University of Ottawa. His interests in aesthetics include musical expression, ontology of art, artistic value, and aesthetics and cognitive science. Gemma Celestino Fernandez recently defended a dissertation on fiction and propositional attitude ascriptions. She now teaches in Barcelona. Steve DiPaola an expert in computer graphics systems, Steve took an interdisciplinary PhD at UBC on painterly rendering of portraits. He is an Associate Professor at Simon Fraser University. Eden Kail Fenrick wrote an MA thesis on the role of identification in dance appreciation in 2003. She now teaches philosophy in Halifax. 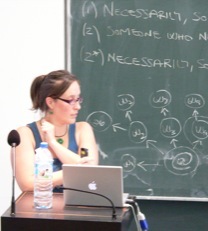 Jillian Isenberg completed her doctoral thesis in 2013. Her research focuses on identifying the psychological explananda to which theories of fiction should answer. Josh Johnston defended his thesis on value particularism in Septemeber 2012. Other interests include the history of aesthetics, the epistemology and metaphysics of aesthetic value, perception and taste, genre classification, and the philosophy of film. He now teaches at Auburn University. Nick Jones visited UBC from the University of Nottingham in 2004, where he wrote a doctoral dissertation with Gregory Currie. 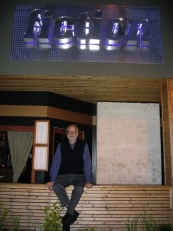 Brian Laetz had published papers in several journals including the British Journal of Aesthetics and Philosophy and Literature before his untimely death in the spring of 2010. He was posthumously made a Doctor of Philosophy in November 2010. Zoe McDougall conducted interdisciplinary research on collaborations between artists and engineers developing smart environments. Jennifer Neilson took a BA and an MA in philosophy at UBC, writing an MA paper on the paradox of negative emotions, before moving to the University of Texas to do a doctorate. Sahasra Pedersen was an MA student in philosophy engaged in issues at the intersection of environmental aesthetics, virtue aesthetics, and virtue ethics.Other interests include artistic value and the history of aesthetics. Alessandro Pignocchi was a visiting student from Paris in the spring of 2007. While at UBC, he wrote a paper on motor schemas in drawing. Check out his book, L’Œuvre d’art et ses intentions. Alan Roberts, a doctoral student in philosophy at the University of Sussex visited UBC in 2015 to work on the metaphysics of humour. Nola Semczyszyn works on scientific and medical images. Having defended her dissertation, Signal to Vision, in 2010, she took up a postdoctoral fellowship at Franklin and Marshall College. Dustin Stokes works on creativity as a cognitive phenomenon. He now teaches at the University of Utah. Denys Vinçon, a doctoral student at the EHESS in Paris and the University of Milan, visited in 2012-13 to work on the depiction of impossibilia. Juhan Yoon, a doctoral student in aesthetics at Seoul National University visited UBC in January 2017 to work on fiction in videogames. Xu Yu, a doctoral student in aesthetics at Southwest University, Chongqing visited UBC in 2013-14 to work on new media art. This year Chris Mole is leading an undergrtaduate seminar on beauty and truth, Dom Lopes is teaching a graduate seminar on aesthetic normativity, and the reading group is going line by line through the first draft of John Wood's book on fiction. 2015-16 Nick Riggle gave a department colloquium talk, and the aesthetics reading group was led by Jo Wong. 2014-15 Stacie Friend gave a department colloquium talk on fiction and a seminar for the group on part of her forthcoming book. Aleksey Balotskiy ran the aesthetics reading group, which met through the year and spent the early summer working its way through Frank Sibley's papers in aesthetics. Dominic Lopes gave a graduate seminar on evaluative perception, including the perception of aesthetic properties as well as moral ones. 2012-13 Servaas Van der Berg led a weekly reading group dedicated to papers in aesthetics and to Brad Murray manuscript on Kant's aesthetics, The Possibility of Culture. Dominic Lopes gave a graduate seminar in virtue theory as it applies in ethics, epistemology, and aesthetics. Guest speakers included Ted Slingerland from Asian Studies at UBC and Matthew Kieran from the University of Leeds. Fall 2011 Dominic Lopes ran a manuscript seminar, whose participants gave his work on theories of art a run for its money. 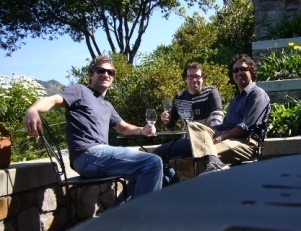 Summer 2010 Taylor Davis (UBC), Matthew Kieran (University of Leeds), Derek Matravers (Open University), and Gerry Viera (UBC) gave talks in a day-long workshop in June. Summer 2009 Nola Semczyszyn led a reading group on topics in aesthetics, beginning with Glenn Parson and Allen Carlson, Functional Beauty. 2008–09 Talks this year included one by Steve DiPaola on "Computationally Modeling Aspects of Cognition, Creativity and Art" and one by Brad Murray on "Artworks, Artifacts, and Ontology: Puzzling Over Driftwood." An invited lecture series on creativity organized by John Beatty and held at Green College included presentations by Peter Kivy, Brad Murray, and Dustin Stokes. Summer 2008 John Woods led a reading group on Mark Sainsbury's Reference Without Referents. Catharine Abell (University of Manchester) visited from July to September. 2007–08 Kathryn Brown (UBC AHVAT), Bence Nanay (UBC), and James Young (UVic) spoke as part of a day-long interdisciplinary Workshop on Art and Spectatorship co-hosted by the Philosophy Department and the Department of Art History, Visual Art, and Theory. Berys Gaut (St Andrews University) gave a seminar on his work and presented a paper on "Medium-Specificity Arguments and Cinema" in the Philosophy Colloquium. Dominic Lopes taught an undergraduate course in aesthetics during the fall term featuring his book manuscript on computer art. During the spring term, Bence Nanay gave a seminar on Fiction, Narrative, and the Mind. Summer 2007 Bence Nanay ran a weekly discussion group on depiction at sundry watering holes around town. 2006–07 Dominic Lopes gave a seminar on topics in aesthetics and epistemology. The seminar culminated in a one-day mini-conference in May. Meanwhile, Gemma Celestino and Jillian Isenberg ran a biweekly reading group in partnership with LOGOS Barcelona on the logic, semantics, and aesthetics of fiction. Visiting speakers this year included Gary Iseminger. 2005–06 Dominic Lopes gave a seminar on the ontology of art in conjunction with the Art, Technology, and Ontology Project sponsored by the Peter Wall Institute for Advanced Studies. The project brought faculty and students together from several disciplines to discuss new technologies in art. Visiting speakers this year included Robert Hopkins, Peter Kivy, Amie Thomasson, and Kendall Walton. Pre-2005 In August 2003, UBC hosted the Knowing Art Conference, which was sponsored by SSHRC. 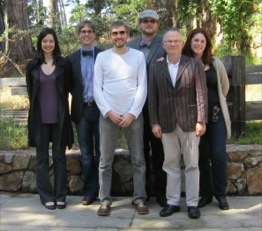 Speakers who visited to give colloquium talks included Noël Carroll, Jerrold Levinson, and Jenefer Robinson. James Shelley spent a term at UBC as a Visiting Professor and gave a seminar on early modern aesthetics. Matthew Kieran spent a sabbatical year at UBC in 2002–03.